NPR.org offers an interview with British thriller writer Frederick Forsyth, author of the classic thriller, The Day of the Jackal and The Outsider: My Life in Intrigue. Gotta grab a reader with the first sentence? 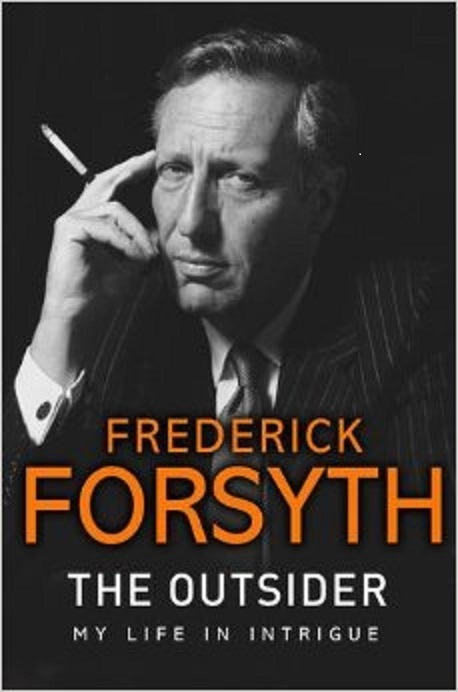 Here's one from Fredrick Forsyth: "We all make mistakes, but starting the Third World War would have been a rather large one." 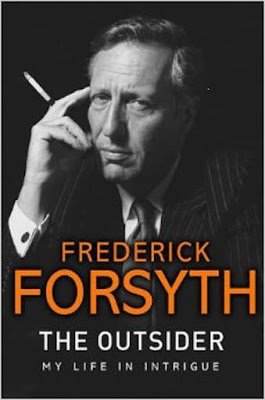 Forsyth has written masterful thrillers for more than 40 years, from The Day of the Jackal to The Dogs of War to The Odessa File and The Kill List. He's said he won't write an autobiography. But he doesn't mind sharing a few stories about the life and times that have shaped him, and his work. "It was a very simple little mistake, I suppose," Forsyth tells NPR about almost starting a war. "I was in East Berlin, middle of the night, 2 a.m., motoring back through the city, towards the wall, and suddenly I was just assaulted by division after division of Soviet troops, rolling through the city towards the wall. And I was the Reuters correspondent, and I thought, what do I do, I can't not file, so I just filed what I'd seen — well, apparently, I woke up the whole of the Western world. What they found out, around dawn, by ringing up Moscow and saying, 'what the hell are you doing,' was that it was the rehearsal for the May Day parade!"